follow Often in my energy psychology sessions I find a deep self-sabotaging blockage that might go deeper than the DNA or far past for a client, and this is when I pull out my specialized Soul Realignment(c) tools. 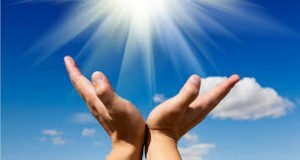 This research and clearing service may be offered as part of a regular monthly energy therapy coaching series or it can stand alone as a special service to support the un-blocking of your life to its Divine potential. You will receive an hour-long reading with recording and suggestions on life issues around which you can be more aware as you make future balanced choices in your life. free accutane When I do this work I access the actual soul records for a person and following a specific protocol similar to what I do in my energy psychology work, I focus on the blocks and restrictions that are holding you back in some area of your life or negatively affecting your health in some way. You may learn more about what I do from my teacher, Andrrea Hess, by quanto costa viagra generico 50 mg online a Venezia going here . . .
cheap generic levitra This work is profound and fits nicely into what I’ve been doing for over twenty years in my practice. Now I have the tools to go even deeper than the DNA to identify where re-curring negative patterns have originated… and then I can help to clear them. The next step is for you to become aware of your past decisions that were carried into the NOW, and start to make different decisions and clear detrimental patterns. The short 21-day “homework” reading can guide you in re-training your subconscious for a “new beginning” of health, happiness, success! source If you are already signed up for a monthly series of sessions, then just request that one of your sessions include this… the reading will take the full hour by phone, and it may take several weeks for me to do the behind-the-scenes discovery and clearing work on your behalf. Each phone reading will be recorded so that I can provide an mp3 along with your homework sheet to support you to move forward in your life and well-being. And, while you are at it, get your property, home or rental space cleared: $150. Full address of property that you own or specific unit that you rent.